This is a 5 pack of 8in Mini-DisplayPort 1.1 to HDMI 1.3 male to female black adapter cables for connectivity between display devices. This device offers a maximum resolution of 2560x1600. 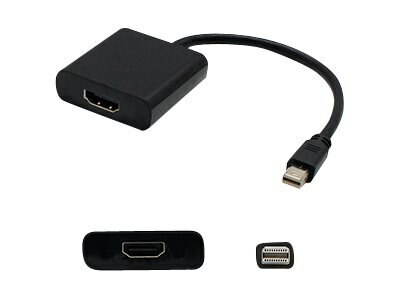 This part is designed to fit your application needs by providing Mini-DisplayPort 1.1 to HDMI 1.3 connectivity.